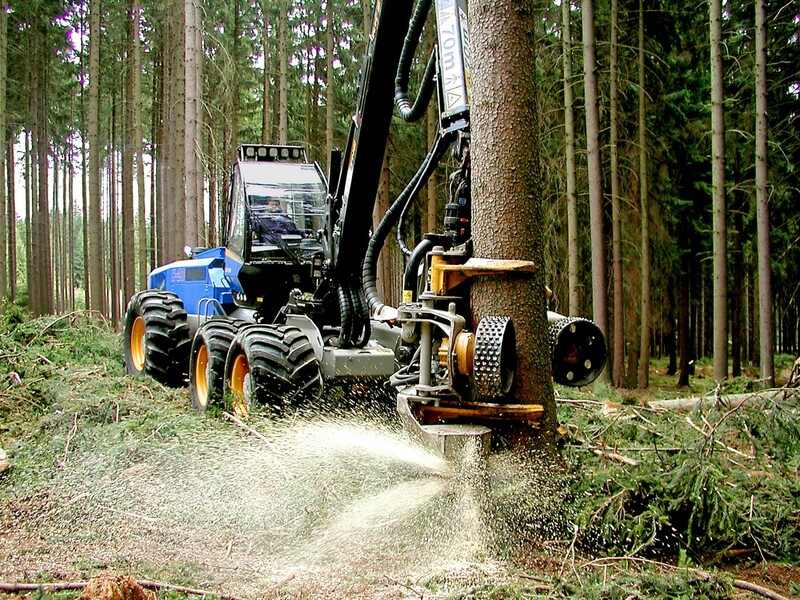 Operators of logging equipment require exceptional visibility and protection against debris or large objects that may enter their cabin and cause serious injury in forest environments, such as tree limbs and other machinery parts. So when Rottne Industry AB needed a high-performance glazing material for the windshields and windows of its harvesters and forwarders, it turned to SABIC’s Innovative Plastics business for support. Working with SABIC and its distributer, Vink Essåplast Group AB in Sweden, Rottne Industry AB selected tough high optical quality LEXANTM MARGARDTM polycarbonate (PC) for the job. The success of this collaborative project illustrates SABIC’s dedication to meeting customers’ ever-increasing needs for outstanding materials performance. LEXAN MARGARD MR5E sheet, a two side hard-coated, ultraviolet (UV) protected sheet – is optionally available with screenprint, protective hard coating in 3D-formed shapes – provides industry-leading optical properties for exceptional visibility and extreme impact strength to enhance safety in these applications. LEXAN MARGARD MR5IR sheet absorbs near infrared (IR) light to help improve operator comfort and protection against hot weather conditions, provides outstanding UV protection and abrasion and impact resistance. Both industry-leading products are being supplied from SABIC’s new sheet extrusion line located at the company’s manufacturing facility inBergenop Zoom, The Netherlands. SABIC’s new state-of-the-art optical quality LEXAN sheet extrusion line in Bergen op Zoom uses a Class 1,000 clean room technology to produce one of the best optical quality sheets in the industry. Optical quality LEXAN sheet can be used for lamination and glazing of forestry and agricultural vehicles, high speed trains and bullet resistant glass-PC laminates for VIP, military, police vehicles and glazing of high security facilities including prisons and other correctional institutions. The new production line, started in Q4 2011, has an extended production capability range of 2 to15 mmgauges. SABIC’s LEXAN MARGARD MR5E sheet offers the best optical properties of the LEXAN PC product line. It meets the highest requirements with regard to black specks, bubbles, lint and fibers, as well as distortion and ripple defects. Compared to glass, the material provides a weight savings of approximately 50 percent and is virtually unbreakable. It complies with the ECE 43R regulation of the Economic Commission forEuropeof the United Nations (UN/ECE) concerning the approval of safety glazing materials. Thanks to a durable hard coating, LEXAN MARGARD MR5E sheet delivers excellent abrasion and chemical resistance to preserve its optical clarity and attractive appearance and provide easy maintenance over the long term. 3D-formed LEXAN MARGARD adds value to the LEXAN sheet, making the parts much easier to install in cabins and reducing the risk of defects during installation. For their forestry equipment, Rottne Industry AB selected LEXAN MARGARD sheet for all the windows that are screen printed with a fade-out band, which covers the glue used for installing the windows in the metal frame, and then both sides are hardcoated. The forwarder windshield and windows use the LEXAN MARGARD MR5IR sheet featuring near IR light absorption in the wavelength range of 780-1400 nm. By managing IR heat from sunlight striking the operator’s cabin, this material helps save energy and protects against potentially harmful UV radiation, yet provides clear visibility. This technology reduces heat build-up in the cabin and can help cut air conditioning costs on hot and sunny days.